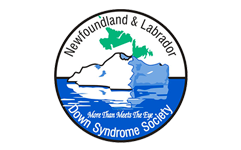 NLDSS – The Newfoundland & Labrador Down Syndrome Society » Blog Archive » 18th Annual Bob Robson Classic Golf Tournament registration is NOW OPEN. 18th Annual Bob Robson Classic Golf Tournament registration is NOW OPEN. Our 18th Annual Bob Robson Classic registration is NOW OPEN. Scheduled for September 8, 2016 at Clovelly Golf Club-Osprey course. We were pleased and honored to have Paragon Offshore as our corporate sponsor for the past 17 years. During that time period and with support of the community we have raised over $240,000 for our “Spreading our Wings” therapy programs. We would like to acknowledge and thank Paragon Offshore for their efforts over the past 17 years and we wish them well on their future endeavours. It is our goal to carry on the tradition of the tournament, so that we can continue to provide much needed therapy for our members. These programs include speech therapy, music therapy, social skills group sessions and occupational therapy. We are limited to 35 teams this year; if you plan to participate pleased reply early to avoid disappointment. 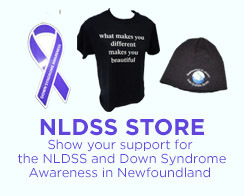 For further information and to register please contact Adam at our office at (709)738-3336 or email nldss@nl.rogers.com. You may also contact Tim Power (Tournament coordinator) at (709) 687-4440. This entry was posted on Monday, July 18th, 2016 at 11:30 pm	and is filed under Uncategorized. You can follow any responses to this entry through the RSS 2.0 feed.